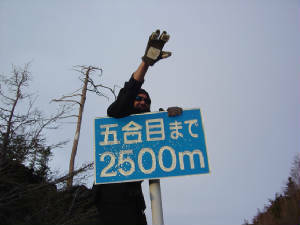 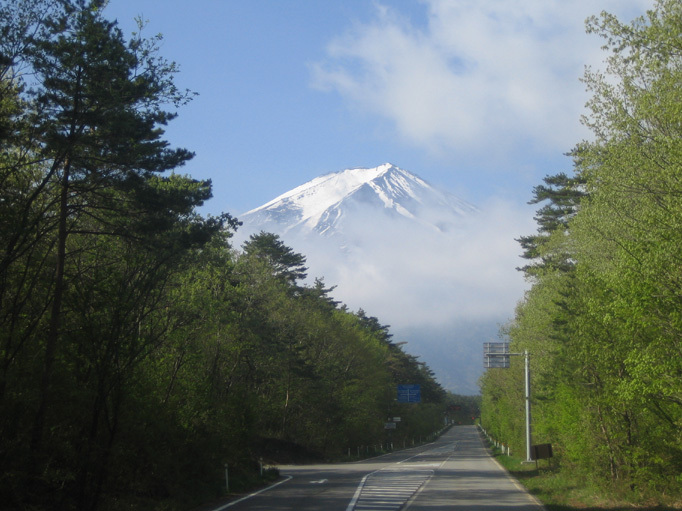 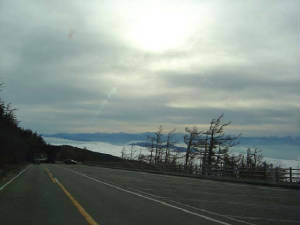 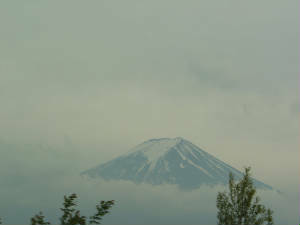 富士　スバルラィン Mount Fuji Session - First descent -Fuji Subaru line toll road. 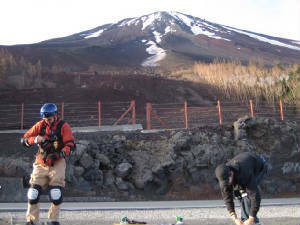 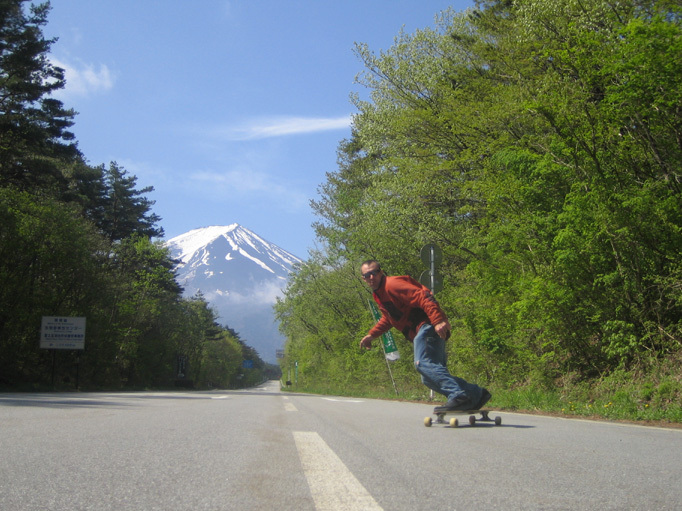 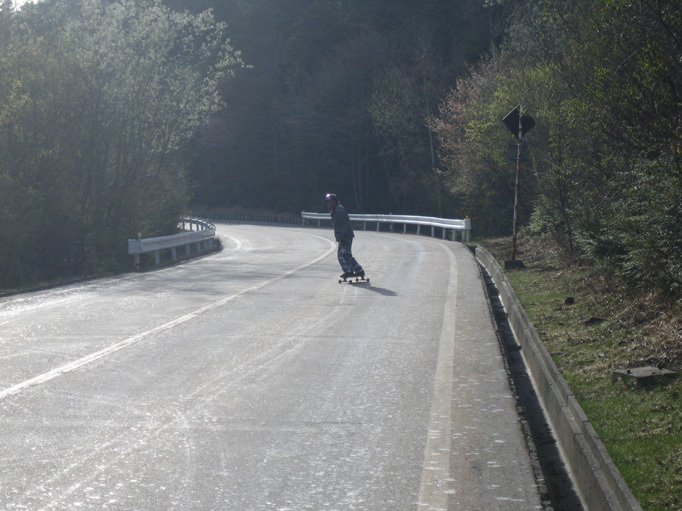 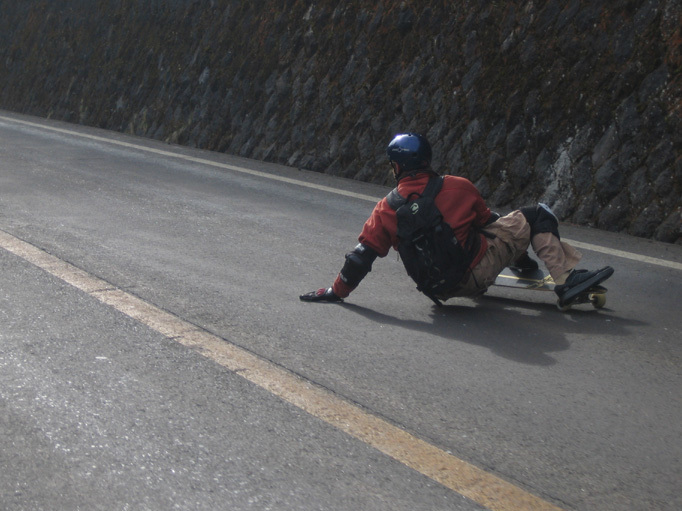 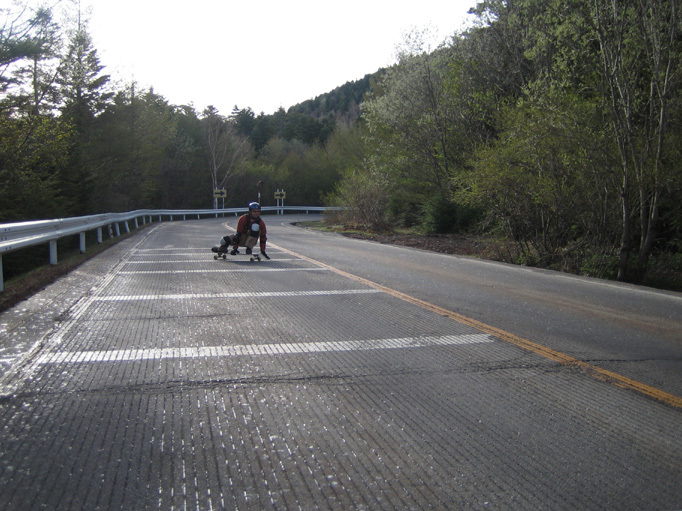 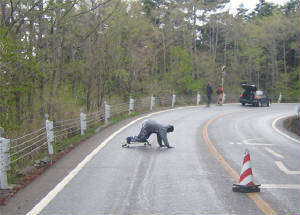 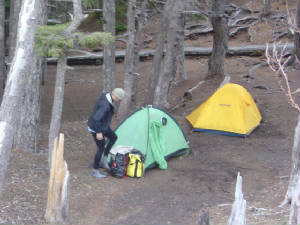 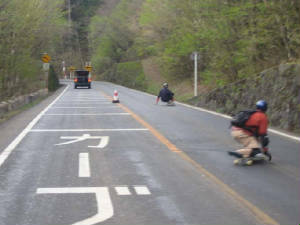 4 Longboard skateboarders descended the "Fuji Subaru Line", a 26 km continious 2-lane mountain road between the 5th mountain station and the foot of the mountain on the "Kawaguchiko"-side. 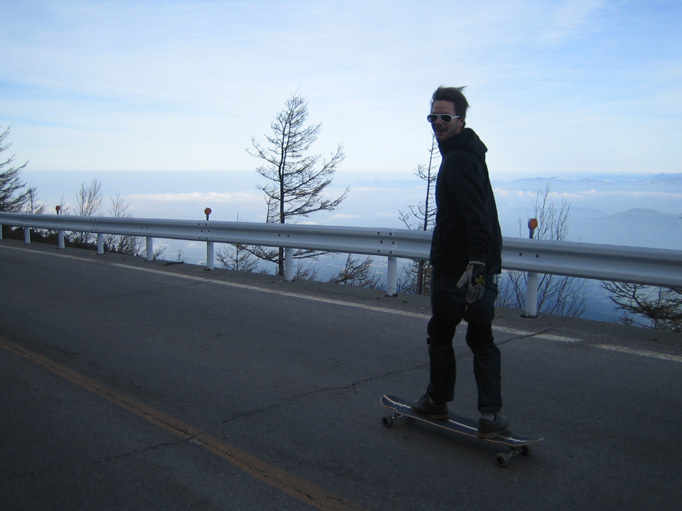 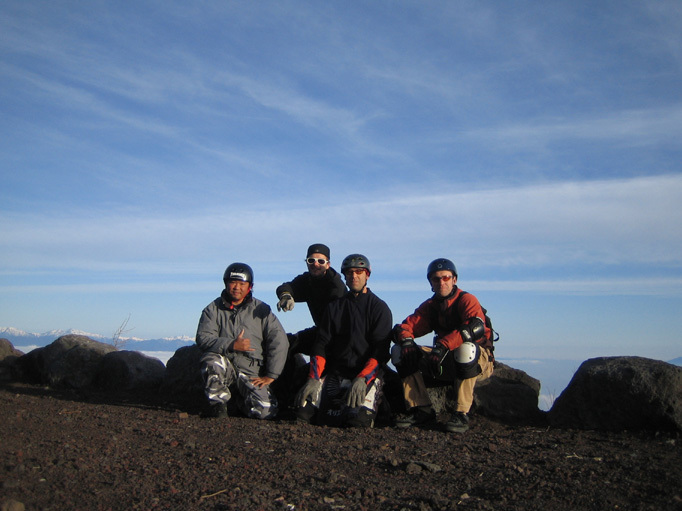 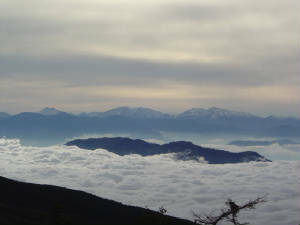 The skaterun started at 2.300 meters above sea level, well above the clouds and offered smooth asphalt and occasionally water, salt & oil. 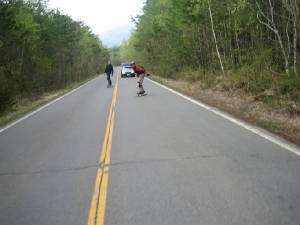 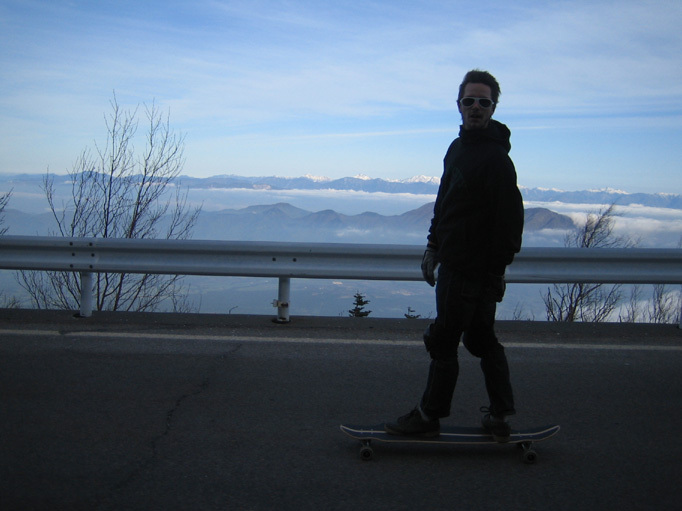 A good 2 hours downhill sk8run in the early sunlight of May 9th, 2005.